SAN FRANCISCO, USA: Google has agreed in a court settlement to spend at least $250m over the next five years to help fight illegal online pharmacies selling medicines to US customers. The US Internet search company made the commitment in settling a lawsuit from shareholders alleging Google failed to take adequate measures to prevent foreign online pharmacies from using its advertising network. 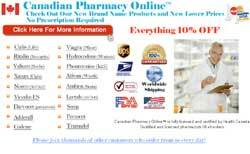 The lawsuit was filed in 2011 after Google paid a $500m settlement to the US government over charges it sold advertisements to Canada-based online pharmacies which marketed drugs to Americans in violation of US law. In a settlement filed in federal court in California, Google agreed to spend at least $50m a year for each of the next five years on what it called product quality operations, policy enforcement, and user safety initiatives to prevent illegal advertisements from appearing on US websites. Google said its audit committee would set up a plan to ensure compliance with federal and state laws and regulations and to prevent the advertising of pharmaceuticals and supplements via AdWords which violate the law. In the settlement with the US government, authorities said the online pharmacies from Canada used Google's Adwords programs between 2003 and 2009 to deliver advertisements based on a user's browsing history and search queries.